The most fundamental purpose of the Theory of Change (ToC) approach to program planning and evaluation is to achieve more effective work by planning activities in the context of necessary outcomes. In a sense this means encouraging social change practitioners to think in a different way. In the standard way we think first of what we want to do rather than of the conditions that will result from our efforts. ToC subordinates thoughts of "what we do" or "what we're going to do" to mapping the flow of change in conditions needed to reach the goal. Once the outcomes pathway has been drawn and the "causal" relationships between different outcomes theorized diagrammatically, proponents and stakeholders have a logical basis for choosing and coordinating those activities and strategies that seem most likely to achieve the outcomes. TOCO 2.0 is an accessible, easy-to-use learning tool for creating, sharing, implementing and communicating Theory of Change and for moving from the ToC "map" into program development, strategy, monitoring and evaluation. TOCO 2.0 provides a flexible drawing canvas with powerful graphical features ideal for drawing, editing, sharing and soliciting feedback on the ToC graphic. The software allows you to export your data from the TOCO server to your local disk. You get a PDF of the graphic and a spreadsheet containing all your ToC data-- outcomes and outcome descriptions, indicators, rationales, interventions, assumptions and narrative. The editable spreadsheet can be easily adapted to your program planning and/or monitoring and evaluation needs. 1. Since TOCO is a web based software, cache & cookies on your browsers can cause the software to slow down or crash. Please clear cache and cookies from your browsers history to make sure TOCO runs smoothly. 2. Some user have raised concerns using Internet Explorer browser, please use Firefox, Chrome or Safari as an alternative to make sure TOCO runs smoothly. 3. If you can not open certain files within TOCO or certain features for example the select tool does not work properly please refresh your web page. (Make sure to safe open files before refreshing). 4. TOCO data export feature generates a zip file. In order to open a zip file some mac computer might need to install an Unzipper software to open the file. 5. TOCO is a web based software therefore we recommend using a landline or having access to a strong wifi connection. What is Theory of Change Online? 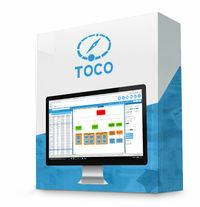 TOCO is the first web-based drawing and database application tailor-made to capture the elements of a Theory of Change and to make updating easy and dynamic. From our years of experience in conducting strategic planning, research and evaluation for non-profits, foundations, and community organizing/advocacy organizations, we have noticed a disconnect between the breakthroughs that occur during participatory Theory of Change sessions and the ability of organizations to own, update, and use their theories for planning, communication, decision-making, monitoring & evaluation evaluation. ActKnowledge developed TOCO so that organizations can develop their Theory(ies) of Change and have the ability to share, revise and review their theories with others. As a web-based application, TOCO facilitates broad participation by stakeholders across regions. The underlying database lets you can keep track in one place of outcomes, indicators, assumptions and other TOC elements. Who would benefit from using TOCO? ...or any party that seeks change in their community at whatever level and that wants to plan well and hold themselves accountable for results can benefit from the Theory of Change process. Although Theory of Change has become popular with foundations and NGOs, organizations often lack the capacity to use it well. TOCO is for them, also for smaller organizations that lack the resources for ToC facilitation or for adapting standard software to Theory of Change needs. We recommend TOCO equally for strategic planning, evaluation, and for participatory initiatives that want to bring transparency to their planning. TOCO is for anyone with a vision… and an online connection. It will enable users to specify how their vision will come about and provide a participatory platform to articulate and agree upon a path toward effective change. This page was last modified on 3 April 2017, at 11:31. This page has been accessed 59,656 times.